Santikhiri Four Seasons Ruby Oolong is a heavily oxidised oolong from the highlands of Doi Mae Salong in northern Thailand. It produces a golden amber liquor with a herbal, fruity aroma. The clean, light flavour has a warming honey character with fruity notes of sultanas. 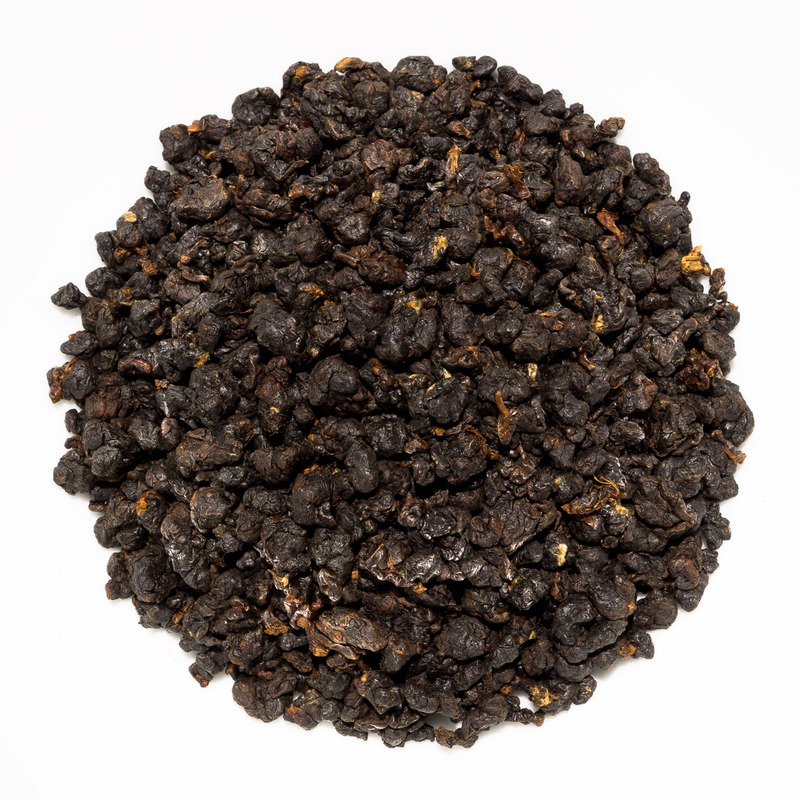 Santikhiri Four Seasons Ruby Oolong is a fully organic, highly oxidised oolong from Doi Mae Salong in northern Thailand. It is a high mountain oolong, grown at an altitude of around 1,200-1,600 metres. It has a warming, fruity character with mineral and honey notes. This lot is from the summer 2018 harvest. 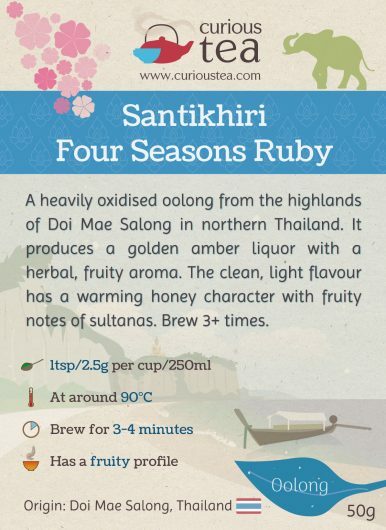 This Santikhiri Four Seasons Ruby Oolong comes from an organic plantation located around the village of Santikhiri. 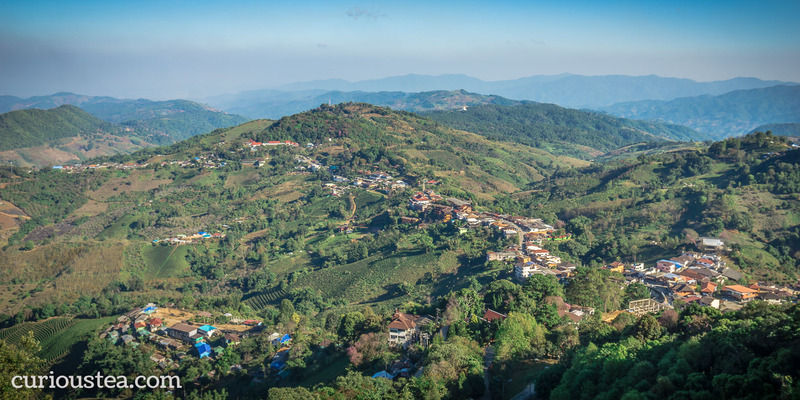 The village (formerly Mae Salong) is located in Mae Fa Luang District, around the highlands of Doi Mae Salong mountain, close to the border with Burma and Laos. While previously this area was a centre for the opium trade of the Golden Triangle, since the 1980’s local efforts have resulted in farmers switching to sustainable crops. 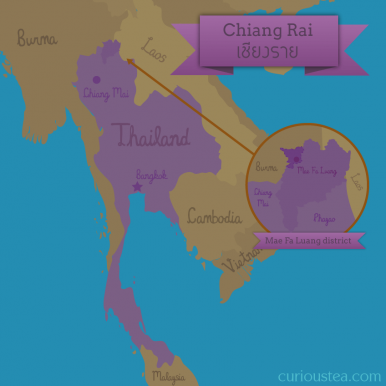 Doi Mae Salong has now become the centre of a booming tea industry and is home to the best high mountain plantation-grown teas of Thailand. 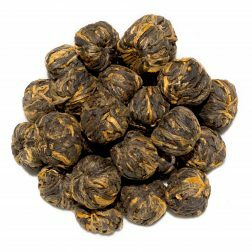 This tea is made from a Taiwanese Si Ji Chun or ‘Four Seasons’ (四季春) cultivar that is especially favoured for lighter floral oolongs. 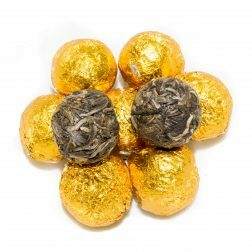 It is particularly popular in Taiwan amongst farmers growing teas at lower altitude that are harvested year round to produce lightly oxidised floral oolongs. However, due to the growing conditions of Doi Mae Salong, these tea plants thrive in northern Thailand at higher altitude while still producing rather decent oolong teas year round. The grower of this tea put a further twist on it by increasing the oxidation level. 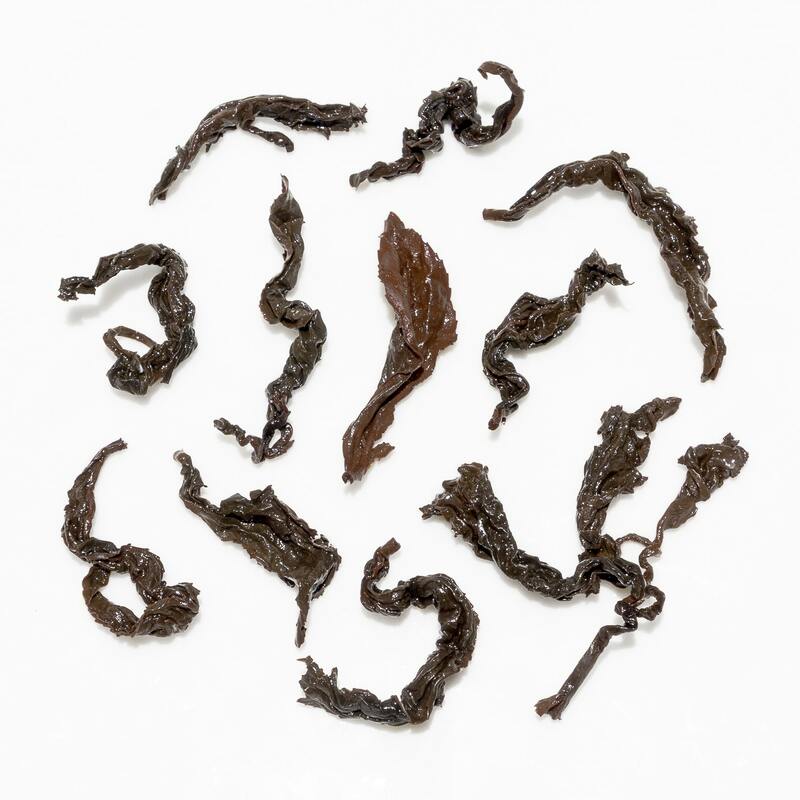 The high degree of oxidation results in a complex tea with a fruity character that sits much closer to a black tea. 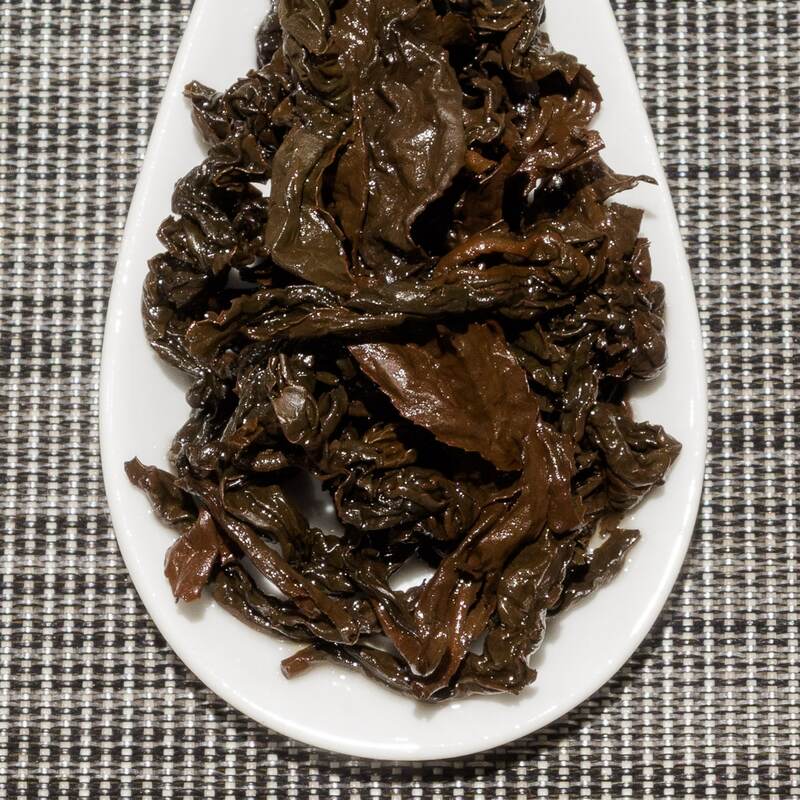 However, unlike our Santikhiri Ruby Ruan Zhi black tea, this one is still firmly rooted in the oolong tea category. The best point of comparison for this tea would be our popular Four Seasons Red Oolong from Taiwan. 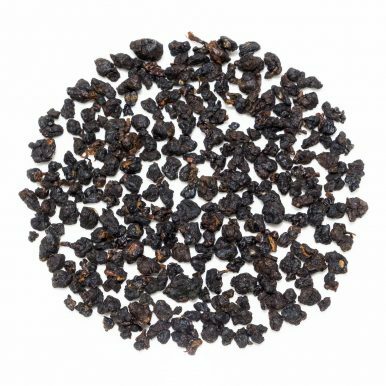 This Santikhiri Four Seasons Ruby Oolong comes in very tightly rolled leaves that resemble black pearls. 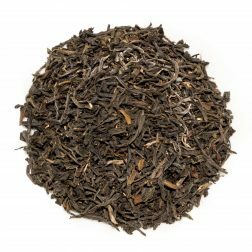 The addition of ‘Ruby’ in the name clearly hints at the colour of both the leaves and the liquor of this highly oxidised oolong. As the leaves begin to open up when brewed, they produce a golden amber liquor with good clarity and brightness. It has a full-bodied aroma with a lightly roasted, honey and mineral fragrance that resembles stewed fruits. When compared to the aroma, the taste is lighter, with a warming wild honey and slightly mineral flavour. There are notes of herbs, sultanas and stewed fruits. The aftertaste is clean and comforting. This is a very easy tea to drink, a pleasurable choice for a relaxing afternoon. Overall, this is an excellent highly oxidised oolong that delivers complex honey and fruity flavours. 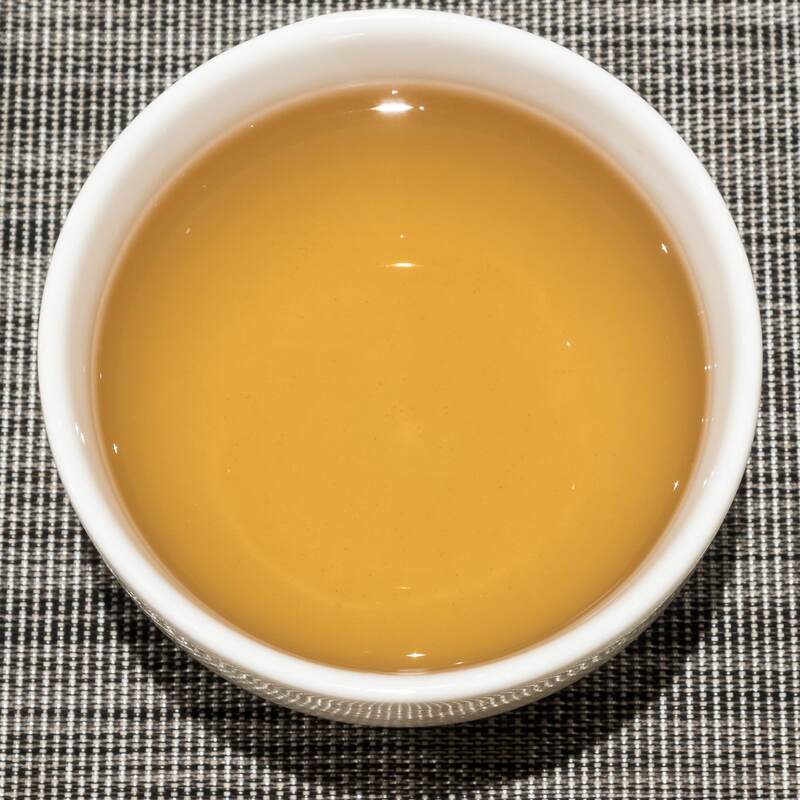 You may also be interested in a lightly oxidised version of this tea, our Santikhiri Four Seasons Oolong, that has a refreshing verdant character and provides a great contrast. We suggest brewing at 90°C for 3-4 minutes according to your taste. It can be brewed around 3+ times depending on your taste preferences. As the leaves are very tightly rolled we suggested a slightly longer brewing time on the first infusion to allow the leaves to open up for subsequent shorter steeps. 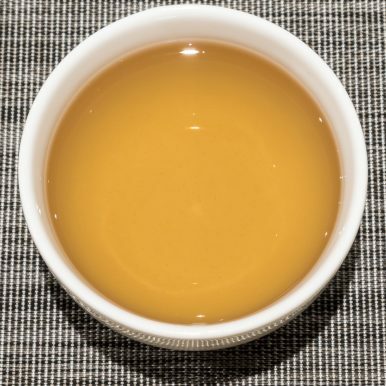 This Santikhiri Four Seasons Ruby Oolong tea was first featured in our February 2019 Curious Tea Subscription Boxes.